Miuro is reportedly now seeking a spot on a well-known reality TV show. We never imagined we'd see the day when a dancing robot was able to credit higher mathematics for its slick moves, but that's exactly what one Japanese mechanoid has been doing in Tokyo this week. 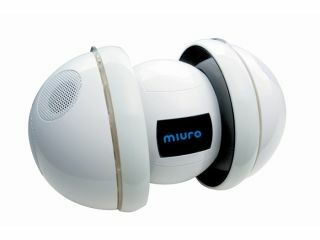 We've previously seen a less-sophisticated iteration of the Miuro from ZMP that was little more than a remote-controlled speaker on wheels, so the new chaos-theory toting, spinning and dancing version [PDF] comes as a surprise. ZMP, in tandem with Tokyo University , has taken the original ¥108,800 (£452) Miuro and added chaotic itinerancy algorithms to enable it to interpret music and spontaneously generate a 'dance' of sorts that is entirely unpredictable. Although free-form dance may seem like a trivial pursuit, especially for a glorified iPod dock, the research team believes that principle could result in future robots that can work things out for themselves a lot more effectively than is possible now.